"Sampath Speaking" - the thoughts of an Insurer from Thiruvallikkeni: Robot suicide : I, Robot; En Iniya Iyanthira, Enthiran and ... more !! Robot suicide : I, Robot; En Iniya Iyanthira, Enthiran and ... more !! Suicide, how much bad ? and how are they received in the society ?? A female hunter has been found dead after apparently committing suicide weeks after she was reportedly threatened on social media by animal rights activists. Melania Capitan, 27, was a well-known blogger and hunter with thousands of online followers. She rose to fame due to her posts in which she explained hunting tactics as well as showing glimpses into her every day life. 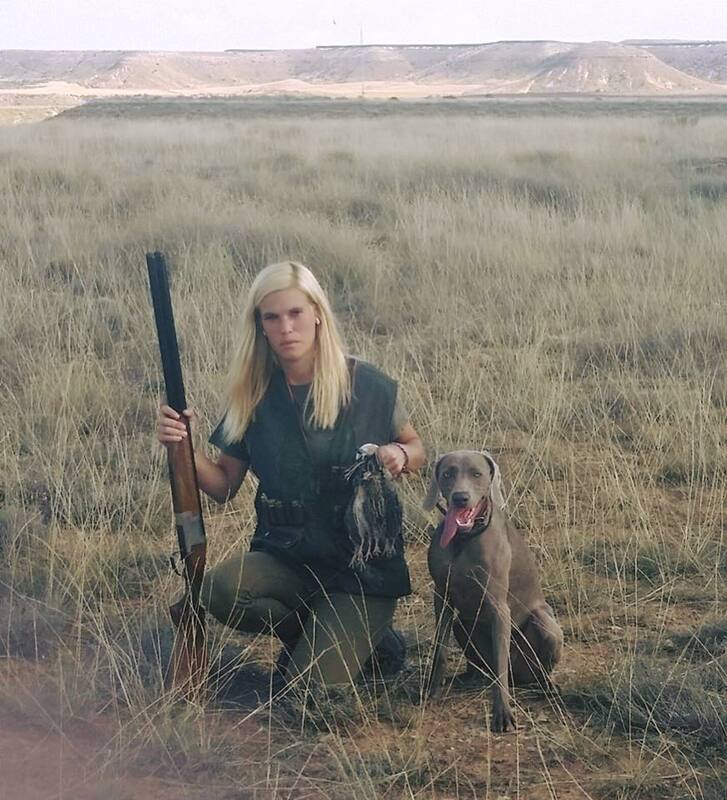 Hunting magazine Jara y Sedal reported Melania, who was from Catalonia and had lived for the last three years in Huesca, had apparently killed herself. She had also reportedly left a suicide note addressed to her friends. There were some posts even after her death condemning her for killing animals .. .. .. In modern World, robots are nothing short of astonishing. Those coming in the not-too-distant future are simply revolutionary—and they are becoming eerily like us. What does it take to make a humanoid robot—a robot that can do anything we can do without the benefit of a human brain? How close are scientists to replicating some of the particularly challenging human characteristics? There are Science fictions agog with imagination and factual details ~ in print for many years now ..
Cinder was the 2012 debut young adult science fiction novel of American author Marissa Meyer, the first book in The Lunar Chronicles, followed by Scarlet. The story is loosely based on the classic fairytale Cinderella, set in a futuristic city, New Beijing, when the countries of the world have re-organized to form various new empires and alliances and the moon has been colonized. Asia is now an emperor ruled country known as the Eastern Commonwealth. Letumosis, a disease started by the Lunars and had been nicknamed the "Blue Fever," is raging throughout the world and the cure is unknown. The protagonist, Linh Cinder, is a cyborg who operates a mechanic stall at a local street market in New Beijing and lives under the guardianship of her stepmother.. .. .. ..
My all time favourite is story written by Sujatha ~ En Iniya Iyanthira (என் இனிய இயந்திரா) the plot opens up in the year 2021 where India is ruled by a dictator called Jeeva. In his rule, the population is kept under control by killing elderly people when they cross the prescribed age limit. Everyone is allotted a unique name with two letters by Government. Every Citizen of the country must strictly adhere to the rules of Jeeva and admire, adore him. The country is in total control of Jeeva's Robots. People are identified only with their social security numbers and all the details are fed and controlled by Master Computer at Capital City. On a New Year eve, Nila, a homemaker is very delighted for having the Government's permission letter to have a boy baby from Population Control Board. She intimates the news to her husband Sibi. At this juncture Sibi vanishes and pet Jeeno, the super intelligent robot dog steps in her life. The story evolves on the plot to throw the dictator and the intelligence of pet dog Jeano ! ~ that with some alterations needed for movie and for hero Rajnikant was Shankar directed ‘Enthiran’ – the real hero being mastermind Sujatha and more impressive were the acts of Jeeno. In a song, you will hear reference to Isaac Asimov, who thought beyond his time on robotics. I, Robot is a collection of science fiction short stories by American writer Isaac Asimov. The stories originally appeared in the American magazines Super Science Stories and Astounding Science Fiction between 1940 and 1950 and were then compiled into a book for stand-alone publication by Gnome Press in 1950, in an initial edition of 5,000 copies. The stories are woven together by a framing narrative in which the fictional Dr. Susan Calvin tells each story to a reporter (who serves as the narrator) in the 21st century. Although the stories can be read separately, they share a theme of the interaction of humans, robots, and morality, and when combined they tell a larger story of Asimov's fictional history of robotics. Here is an interesting anecdote read in MailOnline about a security robot that drowned itself in office foundain in Washington DC and the suicide is getting viral on social media. It probably wasn't what the proud makers of this robot had in mind when they promised to build a machine that could replace human security guards. 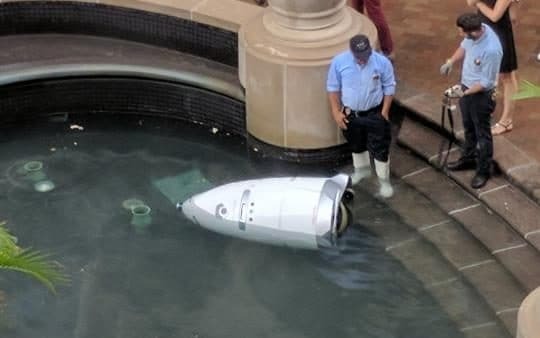 An autonomous security robot designed to patrol car parks and buildings appears to have taken its life into its own hands by driving into a fountain in an office building in Washington DC. The Knightscope K5, an rocket-ship shaped droid that stands aroud 5-feet tall, is fitted with GPS, lasers, sensors and cameras that are meant to help it monitor its surroundings. The robot is meant to spot misdemeanours and parking violations and identify known criminals, moving at around 3 miles per hour and avoiding law-abiding citizens. But this particular robot, for reasons as yet not known, appears to have driven down the steps of the fountain in the middle of the office and ended up floating sideways, rendering it immobile. It was removed, although is likely to have been permanently damaged. Knightscope, the company behind the droid, said it was investigating the incident and that it was an isolated event. But that didn't stop people drawing comparisons to Marvin, the paranoid robot from The Hitchhiker's Guide To The Galaxy series, and speculating that things might have just become too much for the K5. Its falling into trouble waters is likened to suicide ! !